﻿ How to Remove Google eBookstore DRM? Posted by Ada Wang on 11/26/2018 2:33:25 PM. Google Play eBooks has a capacity for nearly 3 million eBooks for readers to enjoy the book they love on Google's Nexus 7, IOS device like iPad, iPhone and iPod Touch, and nearly all the Android devices as Google provides their reading apps for both IOS and Android operating system. Having purchased a lot of eBooks from Google Play but they are locked by DRM then you can't print or convert to read them on the device you like? Look around on the gadget market, you can only read Google Play purchased book on Nexus 7 smoothly, but you can't load the other downloaded ePUB books into it to read, which means you need at least two reading apps on the same tablet to read the books in the same format. That's absolutely not a friendly user-experience. Most of books purchased from Google Play are ePub or PDF format and protected by Adobe Adept DRM. This article tells you how to use Adobe DRM Removal to decrypt Google Play Books. Note: If the book only provides you single format to download, you may only see just one picture. For a better reading experience, I recommend you download "EPUB" format, but you will not get an .ePub file directly, instead is an .acsm file. Now you need to install a program called "Adobe Digital Editions" to open the .acsm file, which will convert it to an ePub eBook and you can also read the book in the program. 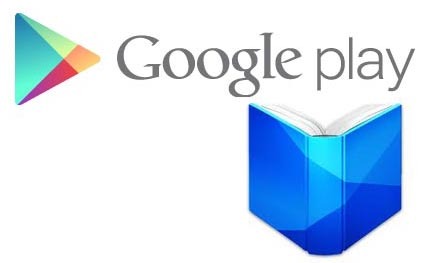 This program is able to remove all the books you purchased from Google Play eBook store. You can figure out how to use this program and all the benefits you can guide from the program through the video. Therefore, instead of describing the program with several paragraphs, I strongly recommend you to watch this video introduction. With this powerful software and the tips above, you can easily read your purchased Google Play eBooks on any device you like. Sounds Wonderful? Now go getting the program then do the magic yourself as this article tells you! Re:How to Remove Google eBookstore DRM? Meh...easier to do this with calibre and DeDRM, plus it's free. I have usage this help and i have reached the same scope. You don't need to pay for expensive shareware to remove DRM from ebooks. Just google for 'Apprentice Alf DRM Removal' and all the information you need is on the blog there. The software used is the open-source Calibre application (which manages your ebook library) plus a small Calibre plugin to remove the DRM, free and open source. 1 Install Adobe Digital Editions. You can authorize with no account, since the final epub will be even better than one authorized on any google play device would be anyway. 3 Install DeDRM plugin from Apprentice Alf tools zip file. 4 Download "epub" from google play. 5 Open title.acsm in Adobe Digital Editions. 6 Open My Digital Editions/title.epub in Calibre. 7 Save to disk from Calibre, to some other folder. Use new title.epub any way you want. Time: A few minutes, even including all the downloads and one-time setups. A few seconds per book after that. Or you can donate to Calibre or Apprentice Alf since they are such nice guys to make all this stuff, and make it free, without even any serial numbers or account registrations or any annoying crap, and even give you the source code to it. Crap I accidentally registered a 5-start rating because it pre-filled that itself. And now I can't change it either. Ignore the rating on this page, it's skewed by preloaded defaults and by at least one erroneous entry. Didn't work for a book I bought from Google Play. Could read it fine in Adobe Digital Editions, but neither the Epubor tool nor the Calibre DRM removal tool could strip the DRM. 1. Logout your ADE, then uninstall it. 3. Install ADE again and authorize your computer with Adobe ID. 4. Open your newly downloaded files with ADE. 5. Run Epubor software and remove DRM. Home > Guide >How to Remove Google eBookstore DRM?